Jet Airways international operations have been cancelled till Thursday, April 18, the company's CEO Vinay Dube said in a statement to employees. Jet Airways international operations have been cancelled till Thursday, April 18. Jet Airways international operations have been cancelled till Thursday, April 18, the company's CEO Vinay Dube said in a statement to employees today as it seeks interim funding of Rs 1,500 crore from group of lenders headed by the State Bank of India. "As you are aware, we have been working with the lenders to secure interim funding for our operations. The interim funding has not been forthcoming thus far, and as a result of this we have extended cancellation of international operations through Thursday, April 18," Mr Dube said. Jet Airways board will meet tomorrow morning on the current status of engagement with the lenders and other related matters shall be placed before the board where the management will seek guidance from the board on the next steps forward. We will keep you updated on all critical developments, the statement added. In another development, Jet Airways has time till Tuesday afternoon to pay fuel vendors failing which it might have to ground its operational fleet, news agency IANS reported citing industry sources. 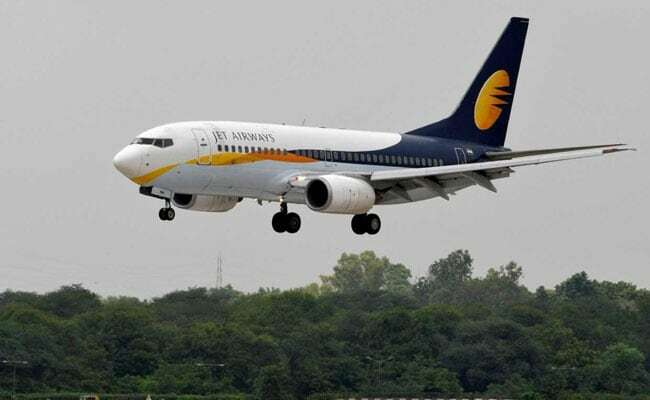 At present, Jet is operating only 7 aircraft for domestic operations due to the grounding of over 80 per cent of its fleet by lessors owing to non-payment of dues, IANS report added. Earlier in the day, Jet Airways' employees staged a protest in Mumbai demanding that the debt-laden airline be saved from shutting down. "Feel exploited... Going to other airlines at a salary cut... Impact on unskilled labour to be immense," Jet Airways employees told NDTV. Jet Airways shares ended 0.52 per cent higher at Rs 261.80, outperforming the Sensex which rose 0.36 per cent.